An unusual fern, more at home in well drained conditions and full sun. Keep on the dry side over winter by planting in a well drained spot but don't allow to dry out completely. 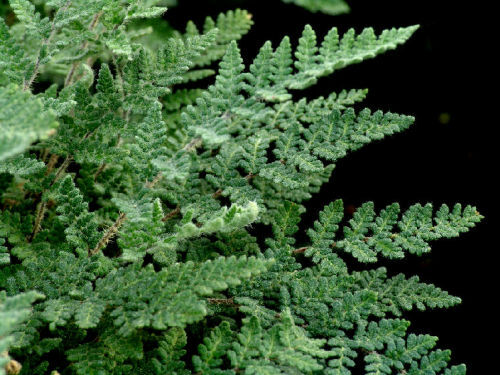 Fronds are an attractive silvery-grey-green. Great for rockeries or containers.